On March 15, the first global board meeting of the Humanitas360 Institute took place in São Paulo, Brazil. 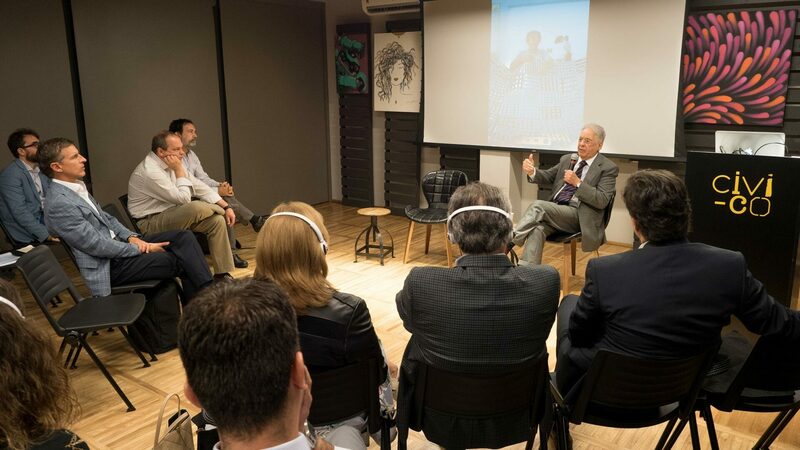 Under the leadership of Brazil’s ex-president, Fernando Henrique Cardoso, executive and consulting board members from both branches of the organization, which is present in the US and Brazil, met to analyze the 2018 annual report and discuss strategies and activities for the future. The event was attended by general Óscar Naranjo, who served as vice-president of Colombia (2017-2018) and as one of the main negotiators of the peace agreement with the Revolutionary Armed Forces of Colombia (Farc); the political scientist Juan Manuel Galán, who served as senator in Colombia for three terms (2006-2018) and is the son of Luis Carlos Galán, presidential candidate for the Liberal Party assassinated in 1989; Eduardo Salcedo from the Vortex Foundation, that developed, with H360’s support, a digital platform to map and vizualize criminal networks, showing details of criminal connections between politicians, companies and individuals involved in the Operation Car Wash; the American journalist Brian Winter, editor-in-chief of Americas Quarterly and the vice president for policy at Americas Society/Council of the Americas; Marcelo Tas, Brazilian journalist, television host and digital influencer. The meeting addressed pressing issues for Latin America, such as the reduction of violence, the need for innovation in the prison system, the growth of citizen engagement, and the importance of transparency and governance. Those are all issues that permeate the projects carried out by H360, such as entrepreneurship behind and beyond prison bars. A couple of the takeaways from the meeting includes the need to continue the innovative work of fomenting entrepreneurship inside and outside the prison system, aiming to create a model that can be exported throughout Latin America. It was also agreed that there is room to take H360’s human-focused and inspiring model to international forums as well as intensify the work with the Academy, whether it is through evaluation of projects or through research about citizen engagement in Latin America.